Industry leading clinical dispensing application in use by over 50,000 providers nationwide. Point of sale ePrescribing solution integrated on the Surescripts network to deliver electronic prescriptions to retail pharmacies across the country. Shop over 30,000 medical supplies and medical equipment products from the industry's leading manufacturers and brands. FDA compliant drug pedigree system providing complete track and trace capability to wholesalers, repackagers and pharmacies. Fully integrated pharmacy and medical services billing and revenue cycle management platform that supports traditional HCFA as well as EDI claim billing. Nationwide controlled substance and zero reporting platform that consolidates PDMP reporting for all states into a single point of submission. Welcome to the industry's leading platform for clinical dispensing. Find out why more than 50,000 providers trust MDScripts over any other dispensing solution in the market. Start using a better dispensing platform today! 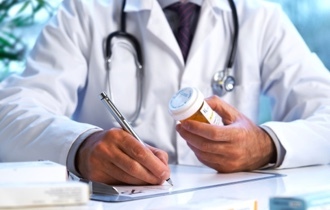 MDScripts allows you to dispense medications from any combination of integrated repackagers. With MDScripts you can create orders with multiple medications or non-prescription products and services - all in a single order. MDScripts supports all major billing protocols including NCPDP adjudication for Medicare, Commercial, and DOL claims, HCFA-1500 and other paper billing forms for Workers Comp, as well as electronic EDI transmissions. MDScripts automatically generates controlled substance reporting for 48 states, including 'zero fill' reports. 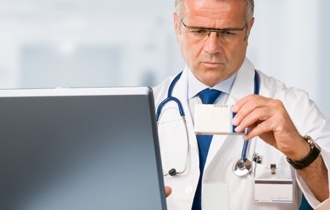 Providers in many states can also access patient PDMP reports at the point of dispensing. MDScripts supports several interface options in order to transfer patient and prescription information directly from your EMR system. MDScripts was one of the first in-office dispensing applications certified on the Surescripts® network and is EPCS certified to receive controlled substance prescriptions. With the industry's only real time analytics dashboard, you will be able to visualize key metrics and better manage your organization or practice. 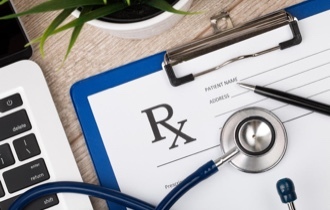 MDSRx PSAO (Pharmacy Services Administration Organization) provides effective solutions to assist pharmacy owners in managing the business administration and financial components related to commercial pharmacy claim adjudication. MDScripts is build on a responsive framework to ensure that the platform is fully functional across various screen sizes and devices. Find out why more than 50,000 providers use MDScripts over any other solution on the market today. As the industry leader in physician dispensing, we understand how to deliver value to your practice. With an extensive feature set and easy to use interface, you can begin to increase productivity and improve patient compliance immediately. MDScripts is built on a secure and reliable web-based infrastructure. You simply log in to our secure servers using the devices you already own. MDScripts incorporates industry-leading security features and data backup procedures to make sure your data is protected. MDScripts has also earned HITRUST CSF certification for it's suite of applications. MDScripts is the leading clinical dispensing platform in the market and is constantly evolving to meet the needs of the industry. William C. Dudney III, M.D. Copyright ©2019 MDScripts Inc. All rights reserved.